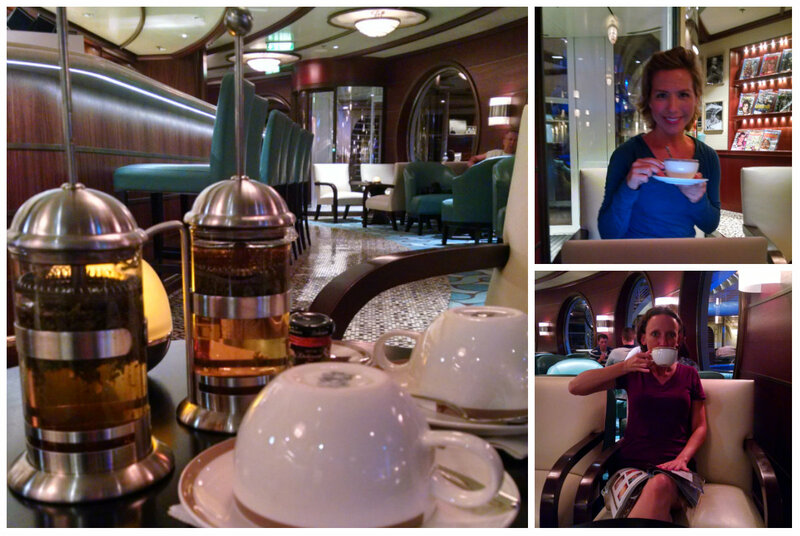 Prior to booking this 7-Day Eastern Caribbean Disney Cruise I was desperate for a relaxing getaway! Work was crazy – long, stressful days followed by more long, stressful days – and I just really wanted, needed, to get away and do nothing for a few days. 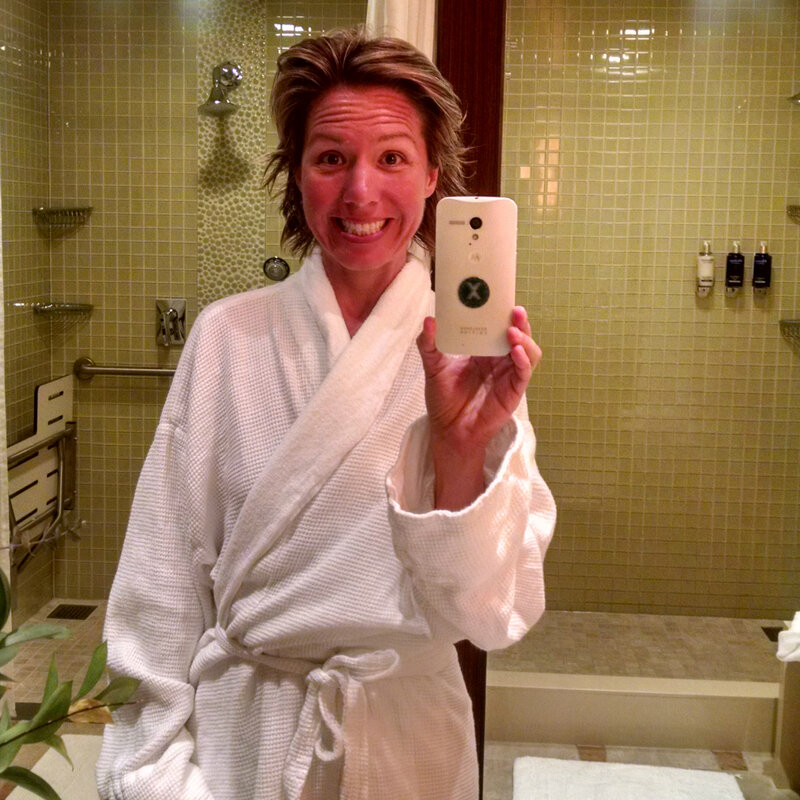 I hadn’t been to a spa in years and after taking a tour of this one during our first day onboard, I was ready to sign up for all of the spa treatments! I decided to wait and see what kind of specials were offered during port days (hint: most cruise lines will try to lure passengers to stay onboard during port days by providing discounted spa treatments). 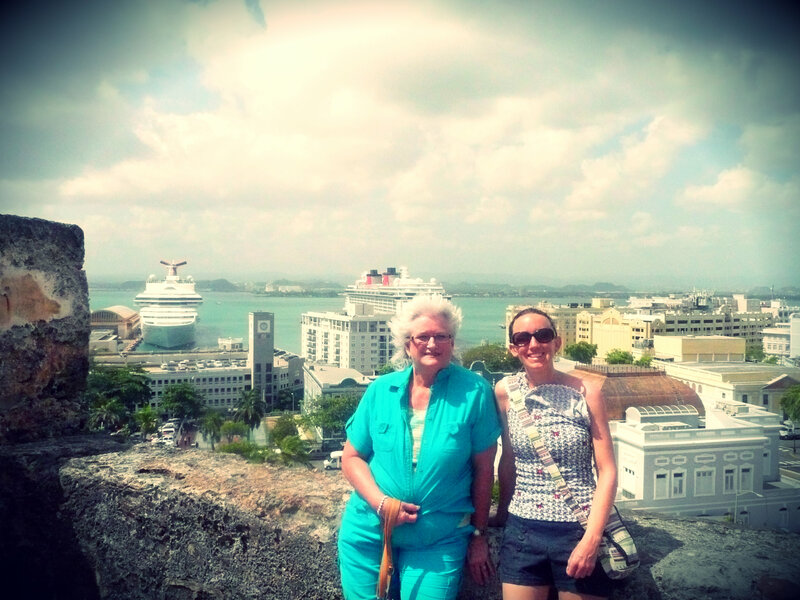 Our second port of call, the day after our fun time on St. Thomas, was San Juan, Puerto Rico. I had visited San Juan during a previous cruise, and because we weren’t planning on participating in any excursions but just walking around the city a bit, I decided to stay onboard and make this my day of pampering. My day started with a sunrise stretch on the pool deck. Teresa joined me this time and after the 30-minute class, we went for another run around the track on deck 4. This was followed by breakfast at Cabanas, then I got ready for my spa experience and Teresa and her mom got ready to disembark and explore San Juan. What followed was 75 minutes of pure heaven! This was, quite possibly, the most relaxing spa experience I’ve ever had! I enjoyed the port-day Pamper Package special which included a full body massage and a facial. I was so, so, so incredibly relaxed and tension-free after my treatment! SO wonderful! No makeup, messy massage-oil filled hair – don’t care!! The rest of the afternoon was spent in a lounge chair in the shade reading, journaling and napping. 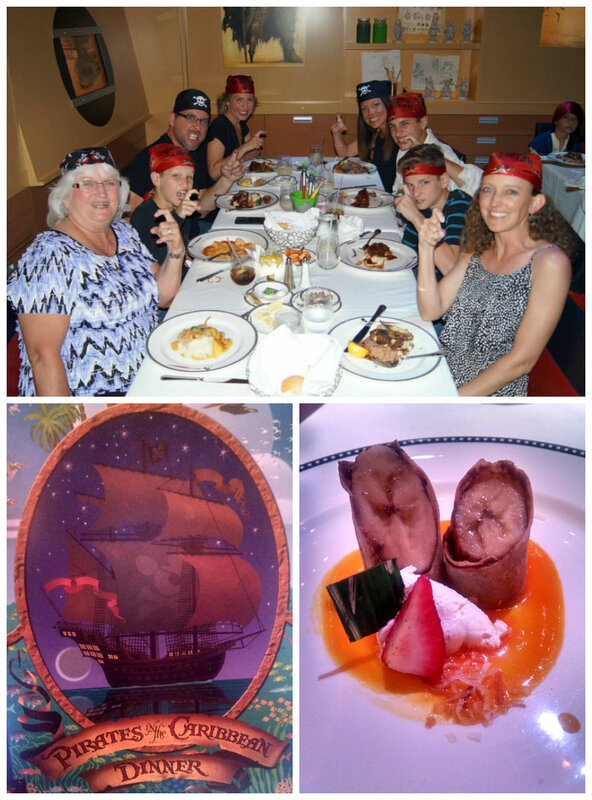 🙂 That evening we again ate at Animators Palate where everyone was decked out in their pirate finest as tonight was the Pirates in the Caribbean celebration. The menu choices were Caribbean-themed and quite delicious. After dinner, we made a bee-line for the Walt Disney Theater where a special screening of Avengers: Age of Ultron was taking place as that evening’s entertainment. We donned our lovely 3-D glasses and enjoyed watching this just-released movie. Once the movie was over, we had just enough time to run up to one of the top decks to see the fireworks being shot from the ship high into the sky. 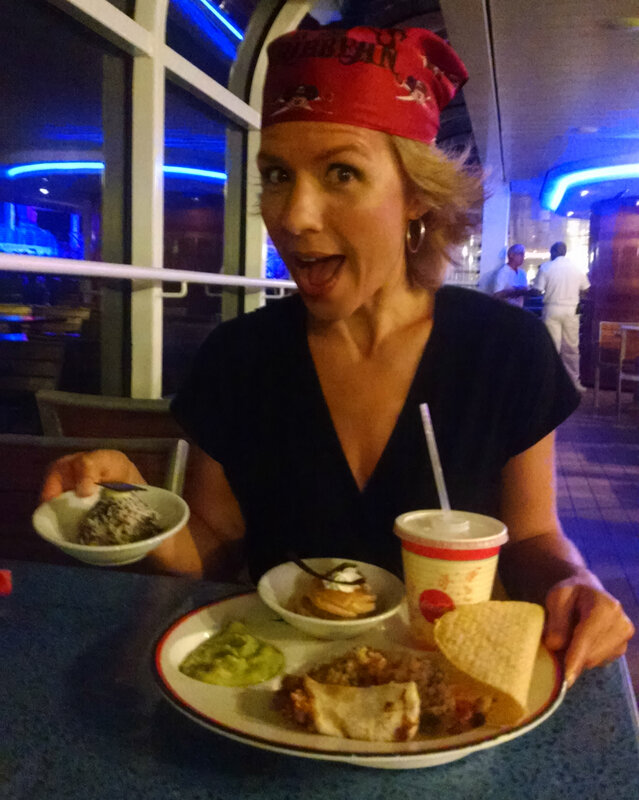 The pirate party continued by the pool deck but we barely glanced at it as we headed to Cabanas because – late night buffet!! None of us were hungry but we all selected a few savory and sweet items and took a few bites of each because – late night buffet!! The following day was our third full day at sea. 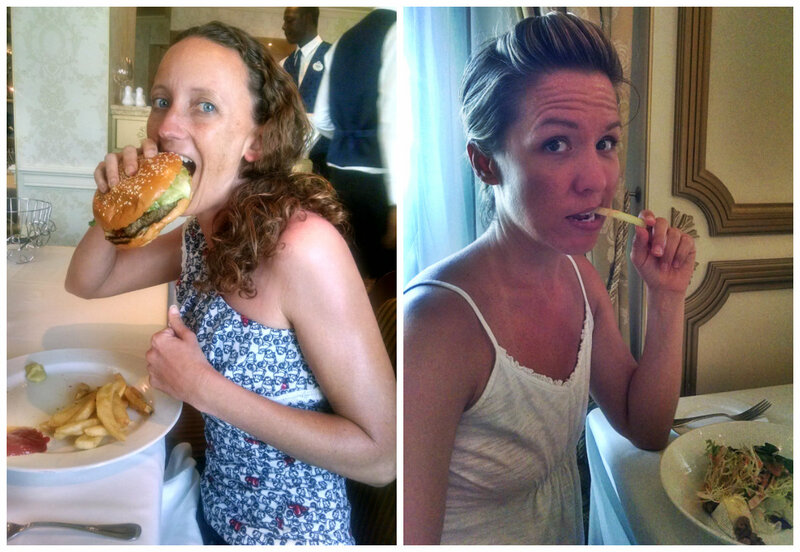 We ate breakfast at Enchanted Garden, not realizing that it offered pretty much the same buffet as Cabanas. The rest of the morning was spent lounging by the pools. 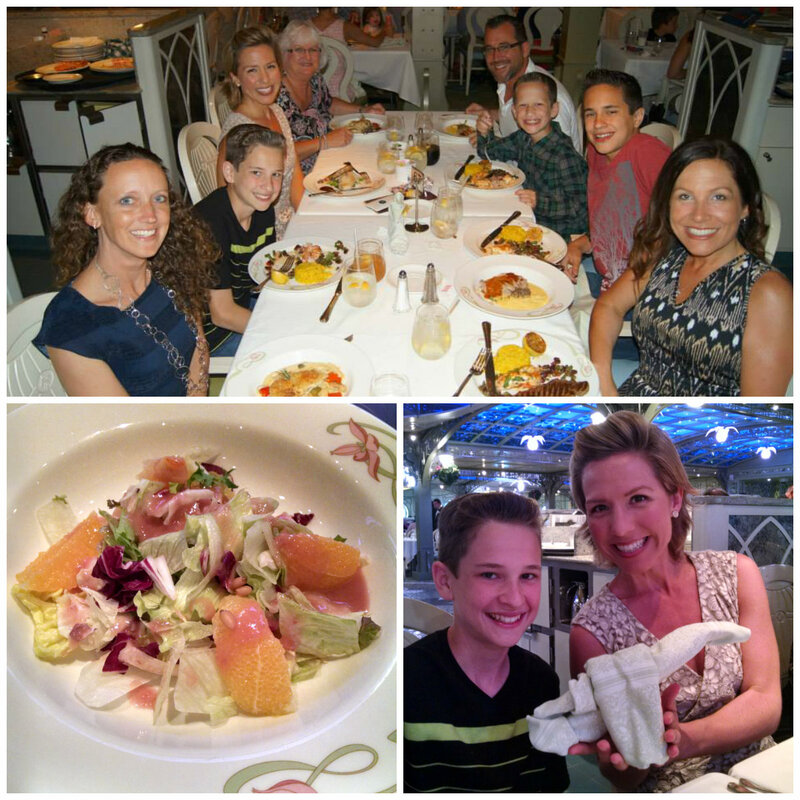 After a light(ish) lunch, we headed back to our stateroom to get ready for a much-anticipated indulgent experience at the adult-only restaurant, Remy. 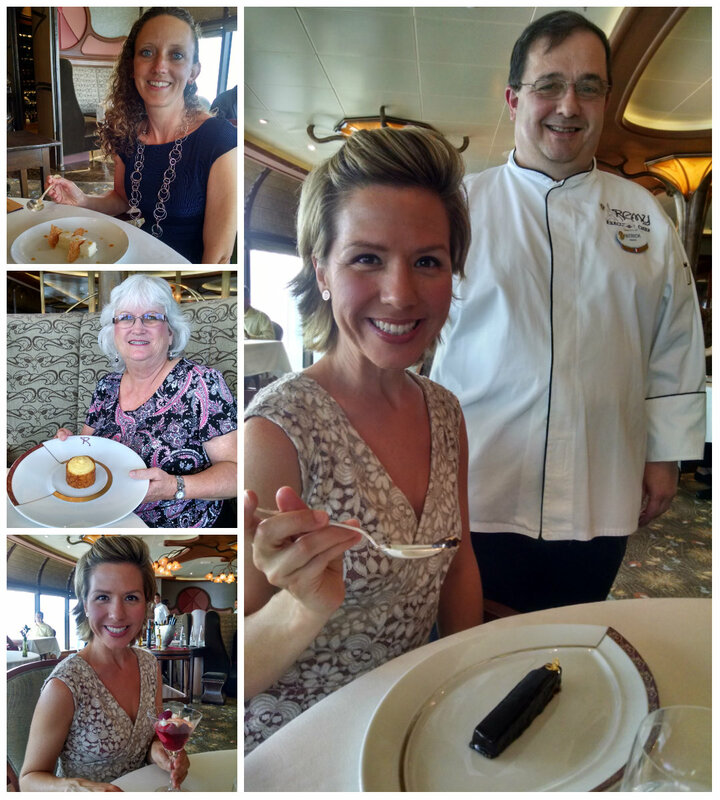 Although it wasn’t really advertised onboard, Teresa had heard about the Pompidou Dessert Experience prior to our cruise and we all decided this was something we had to indulge in! There was a fee ($50 per person) but it was well worth it! Our experience started at 3:00 and we were lead into the lovely dining room of Remy’s with the rest of the participants. It was a very intimate setting as there are less than 20 or so dining tables inside the restaurant. We were well taken care of with the incredibly attentive service. Executive Chef Patrick was our “tour guide” and he spent time describing each of the six desserts we were presented with and interacted with all of us. He was very personable and entertaining! All six desserts were amazing!! 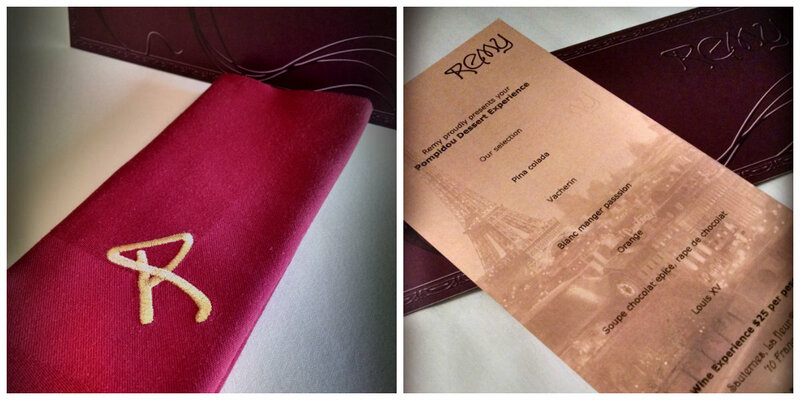 This was truly a gastronomical experience and I absolutely loved it! Each elegant, decadent creation was beautifully and formally presented and resulted in an explosion of flavor for our mouths. The six courses were followed by champagne and as we left the restaurant (we were the last party to leave 🙂 ), we were each given a special gift: a bag of French macaroons. I was just a little excited about this. Just kidding. I was ecstatic as French macaroons are one of my absolute favorite things in the world (I’m so not kidding)! 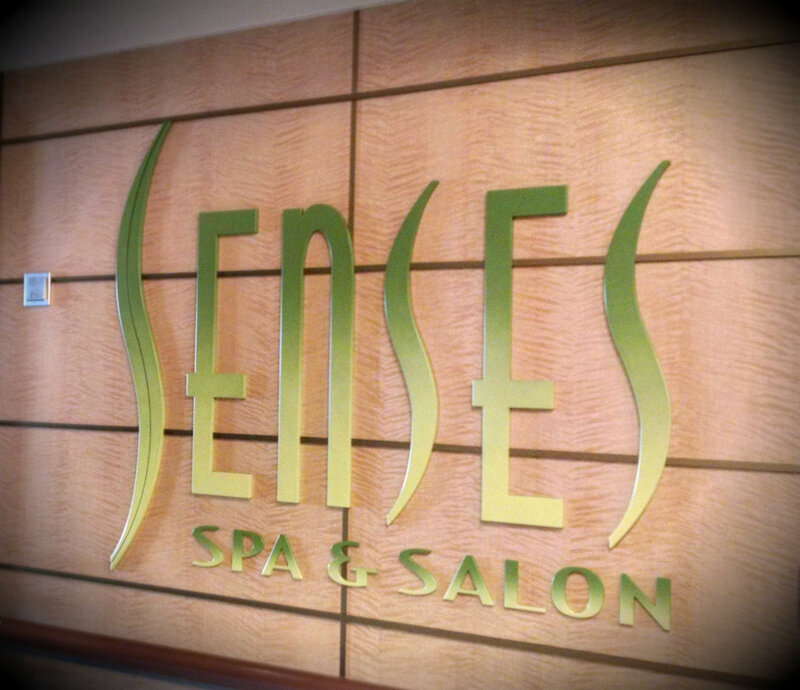 After our over-indulgence in sweets, we went to Senses Spa for a complimentary foot analysis. The analysis wasn’t quite what I was expecting but still interesting. I skipped the appetizer and ordered a salad and tuna for dinner – nice and light. After dinner we went to the Walt Disney Theater to see Believe – another wonderful Disney presentation. Teresa and I weren’t quite ready to turn in after the show so we changed into comfy clothes and went to Cove Cafe for some hot tea, reading and writing. Another fantastic day at sea! The next day: Castaway Cay!